Are you suffering from unexplained exhaustion that lasts for more than six months and accompanied by several other symptoms such as sore throat, muscle and joint aches, lack of energy, short-term memory loss and severe headache? There's a high chance you are afflicted with chronic fatigue syndrome. Doctors have yet to discover the exact cause of chronic fatigue syndrome or CFS, but it is widely believed that a number of factors help trigger this debilitating disorder. Immune deficiency is on top of this list. The symptoms of chronic fatigue syndrome are also classic symptoms of viral infections such as flu. And just as viral infections have no known cure yet, there is also no known cure for CFS. However, there are many ways to treat the symptoms of chronic fatigue syndrome and help alleviate the discomfort and illnesses that the patient suffers from. Since chronic fatigue syndrome is most likely caused by viral infections, it is thus important to keep the immune system strong. Herbal remedies are becoming more popular as more people discover the wondrous effects of natural herbs in promoting health and fighting different types of viruses. For combating chronic fatigue syndrome, the following herbal treatments are recommended. Ginkgo Biloba – This herb is known to improve circulation and brain function. Taking ginkgo biloba can help with memory and cognitive impairments that is one of the symptoms associated with chronic fatigue syndrome. Korean Ginseng – Long used in the orient to boost energy (and sometimes as an aphrodisiac), Ginseng also strengthens the immune system and fight viral infections. It also helps alleviate the harmful effects of stress. Just use with caution, though, because this herb is quite powerful. If you have high blood pressure or heart disease, do not use ginseng. 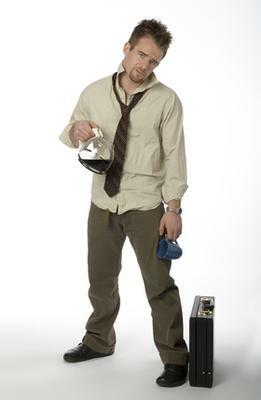 Consult an herbalist first if you are sensitive to the effects of caffeine and similar stimulants. Echinacea – This powerful herb prevents pathogens such as bacteria and viruses from entering the body and causing several disorders. It basically protects the cells from infections. Recommended dosage is to take about fifteen to twenty drops in liquid form for thrice daily for two days. This is approximately 300 – 325 mg taken thrice daily. Astragalus - One of the most effective herbs to strengthen the immune system, astragalus encourages the production of white blood cells that help fight off and get rid of pathogens that have entered the body. Astragalus is effective in treating flu and head colds but should not be administered if the individual is also suffering from a fever. Recommened dosage of Astragalus is 150-250 mg taken three to four times daily. Licorice root –This herb is known primarily for its efficacy in relieving cough and as an expectorant. But licorice is also effective in purging out toxins from the body. Licorice root also supports the endocrine system. However, it is not advisable to take this herb for more than seven days in a row. If you have high blood pressure, do not take licorice root. If you plan on using licorice for extended periods, make sure you also increase your intake of foods rich in potassium. Like all other medications, it is important to use proper dosage when using these herbal remedies to achieve the best effects. It is also best to consult a doctor and a herbalist to help you identify which herbs works best and how much dosage you should take.